Internet users have been up in arms over the news that the National Security Agency (NSA) may be snooping on their private information, but Google have been among the first to vehemently deny the claim, sending out an open letter to all Google users assuring them the privacy is something that Google takes very seriously. In fact CEO Larry Page and Chief Legal Officer David Drummond went so far as as to call for a more transparent approach to government surveillance. This past week, Google Inc. sent a letter to the Attorney General , Eric Holder, and the FBI Director, Robert Mueller detailing their arguments regarding why the public are entitled to know how many data requests the company receives from the NSA. 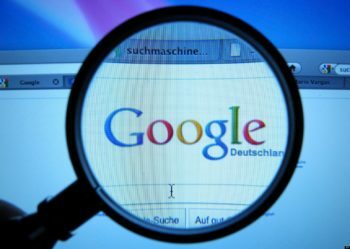 Google have pointed out that they have spent years working to earn the trust of their users and that they should be allowed to offer those same users proof that the company has not been handing over personal data to the US Government. Google have already revealed to users how they provide information requested by the NSA. ‘When required to comply with these requests, we deliver that information to the US government – generally through secure FTP transfers and in person,’ said Google spokesman Chris Gaither.